Jen Rudolph with her Vincent, a parma wallaby. On January 1, 2008, after a very difficult time in my life, I woke up and made a promise to myself that I would find a way to change the world for the better. Of course, this is an overwhelming goal if you look at all the world’s problems but if you can identify one problem at a time, like any other task, it becomes possible. For me, working in corporate America, specifically for a retailer whose main goal was to produce more “stuff”, I began to realize that I had stopped listening to that little voice inside me that had always looked to nature for comfort. I began my search for opportunities at one of the places I would go as a child to connect with animals, my local zoo. When I went to the zoo’s website, I found an AmeriCorps program that offered a year of service providing environmental education to core communities. The idea of leaving my corporate job (and corporate pay) was terrifying but underneath that initial feeling of terror was excitement and most important, possibility. 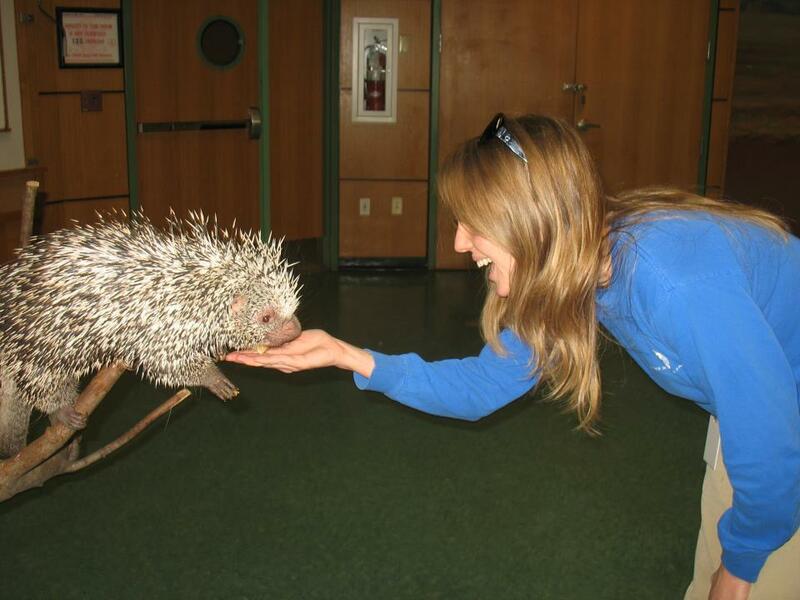 During the interview process I learned that I would potentially be taking animal ambassadors into classrooms, leading students on nature walks, teaching humane education and providing animal therapy to patients at local hospitals and nursing homes. All of the things I had dreamed of doing as a child! Once the position was offered I took the leap and never looked back. There were times that I had to get creative with my budgeting. But something funny happened, I suddenly became aware of my resources. I had lived in the work and spend world so long that I never really took a close look at how many times I chose excess in a day. I started cooking more and eating out less, cancelled my cable, got a better cell phone plan and was amazed at how little my standard of living changed. To be honest, it got much, much better because I was surrounded by folks who were connected to nature. I didn’t have to apologize for recycling or explain why I was interested in composting. The community I became a part of just got it. Changing the way I look at “stuff” has become an integral part of my life. My year of service was filled with amazing experiences. For instance, I was on a hike with a group of teens and one of them confided in me that he had been lost in the woods for almost an entire day at the age of 3. He had been terrified to go into the woods ever since. I told him that I was afraid of snakes when I was a kid but working at the zoo I had to really examine that fear and, as a result, I learned that once you face down one fear, the others seem to melt away. I ran into him a few months later and he hugged me and told me I changed his life. There was a student in my humane education class that told our group she wanted to be an animal cop like she had seen on TV. The only problem was she was terrified of dogs after living in a neighborhood where dog fighting was rampant. At the end of the session I held her trembling hand as she gave a treat to a pit bull at a shelter. We both cried as she did it. I think of her all the time. At the end of my year of service, I had the good fortune of being hired in the education department as an instructor once my year of service concluded. I am now working to bridge the gap between man and nature. Every day the impossible becomes possible. Whether I am training a raven or teaching vermicomposting to a group of children, my heart is full and I know I am making a difference. For anyone considering joining AmeriCorps, know that this is truly an opportunity to change the world. If you have an open heart and an open mind, devoting yourself to a year of serving others will change your life in ways that you cannot possibly imagine. I am extremely interested in animals and animal therapy. Can you please tell me what AmeriCorps program this was? Was it in Rhode Island or somewhere else? Thanks! I went to the “behind the scenes” at the RWP Zoo in June with my nephew and sister in law. Jen and another lady (I think her name was Rachel) were the educators and they were FABULOUS! Jen sure did pick the right career!